Mima USA Strollers > Zigi and Moon High Chair & Mima Accessories. Zigi and Moon High Chair & Mima Accessories. 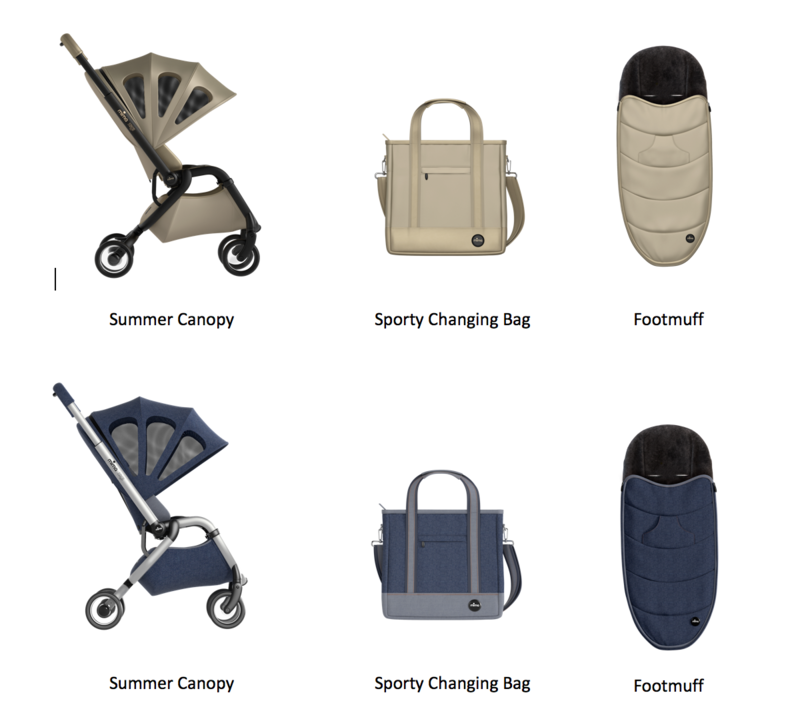 This spring, luxury stroller brand Mima brings style and innovation to the all new Xari designs. 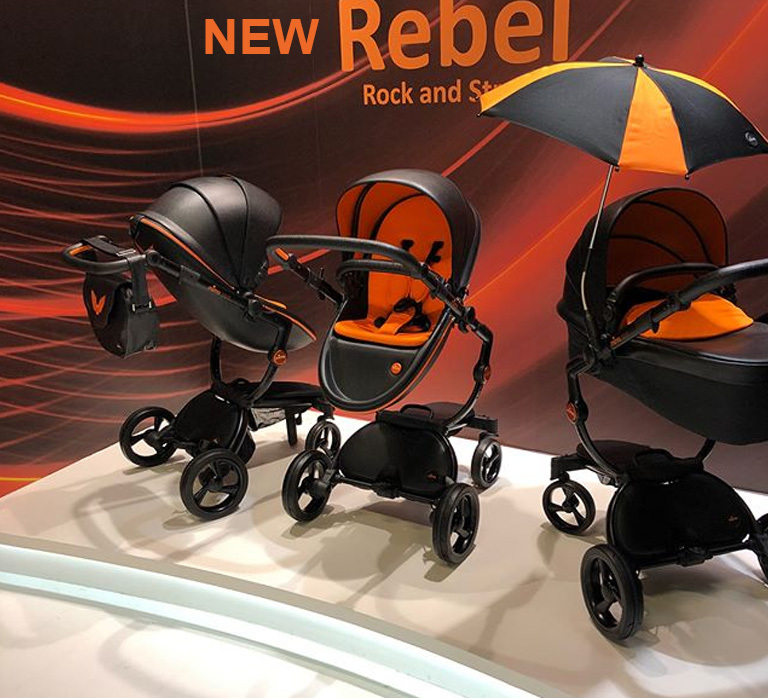 Presenting our gorgeous Xari Champagne for the fashion forward mom, Xari Rebel (Limited Edition) for the brave parent looking for a bit of edge, and the long awaited Xari Sport that provides a new mode of transport for your growing child. These new products will launch March 2019. 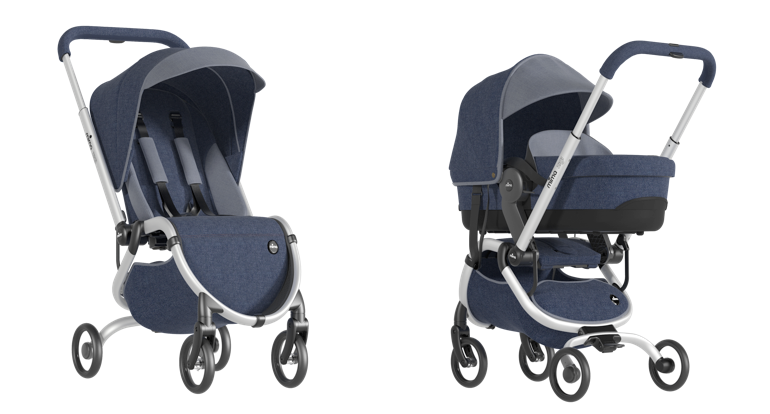 Presenting the new xari sport, a mima xari with a sport seat offering higher levels of comfort for older or larger children while still maintaining the style and elegance of classic mima products. Sportier lines and more casual materials don’t deviate from the fact that this product is still very much mima. Stand out from the crowd with the new mima xari Champagne, sporting a new Champagne chassis – exclusive to this elegant edition. Treat your little one to the best of the best, and stroll in exquisite style. Matching golden-toned accessories make this product a gold lover’s dream. Whether taking your little ones shopping at Whole Foods or taking a family trip to Universal Studios, having the accessibility to connect your car seat to your stroller is paramount! NO WORRIES MIMA HAS YOU COVERED!!! Hey, dude! Who says strolling has to be boring? Our new edition of xari is ideal for the little rock star in your life. Perforated black fabrics are accentuated by bright orange leatherette details reminiscent of only the coolest and sleekest fashion and leisure products. Rock on! 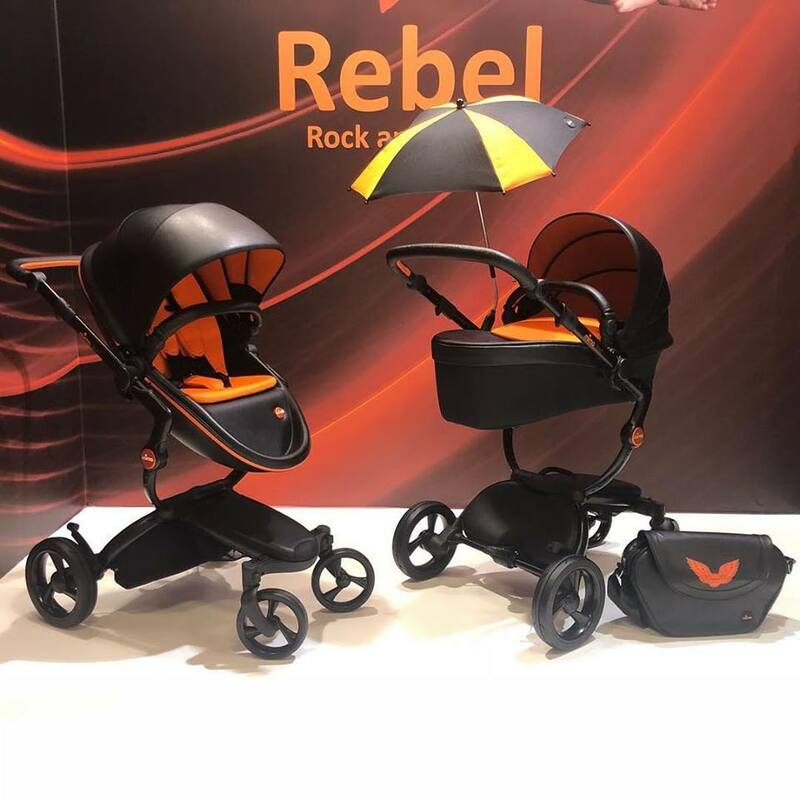 The patented mima “carrycot inside”, a rain cover, a beautiful patterned parasol, a striking Trendy Changing Bag and a new colour Starter Pack exclusive to this model are included with your mima xari Rebel Limited Edition. 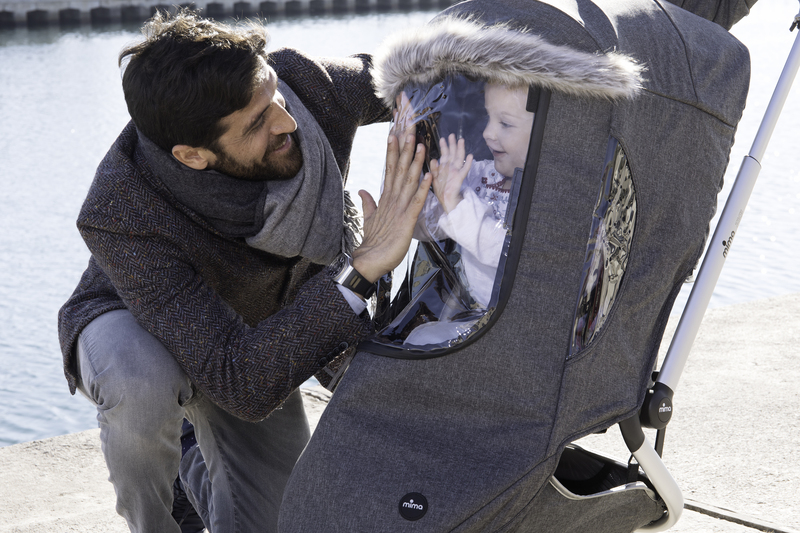 zigi by mima is a beautiful compact buggy. Underneath its sleek, modern and very mima-esque looks, zigi hides some sophisticated engineering. It’s sturdy, but still lightweight –only 8.4 kg/18.5 lbs- and is incredibly easy to handle. Elegant looks combined with a simple, compact fold achievable with just one hand make zigi the most desirable travel companion for families on the go. Canopy with three sun visors with UV protection. Includes window on the roof. Treat your little one like royalty with the new zigi Champagne. 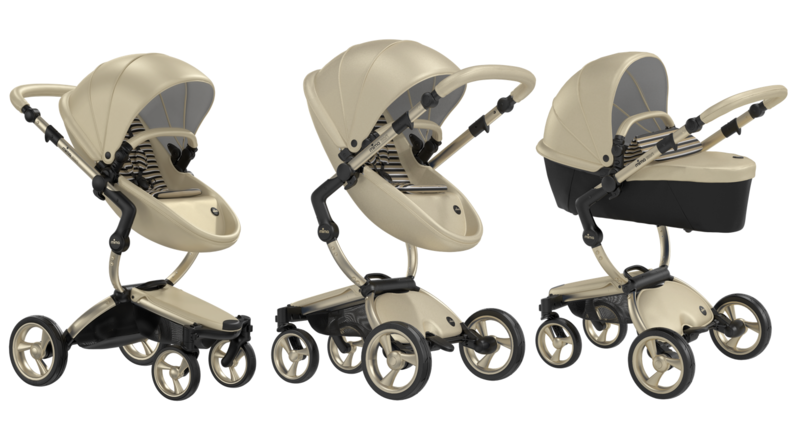 Subtle golden tones transform zigi into a stroller fit for a little Prince or Princess. Denim has lasted the test of time and has barely left our wardrobes thanks to the work of Levis Strauss who invented the concept in the late 1800s. Since then jeans, dungarees, shorts and other indigo-tinted accessories have firmly remained on our catwalks having undergone a plethora of adaptations and variations ranging from early work wear, to youth subcultures, to designer garments. 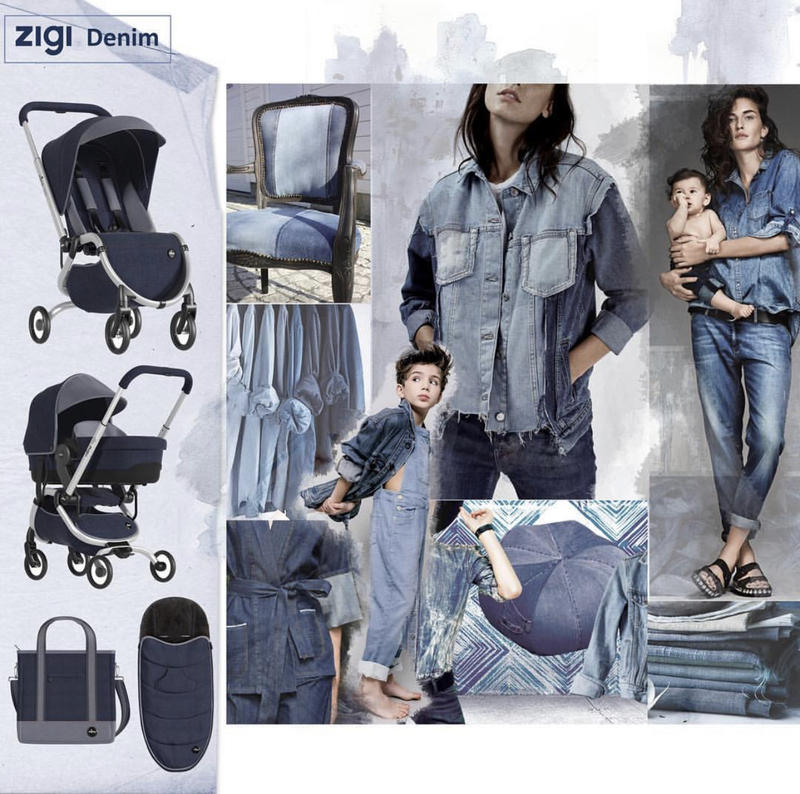 Now it is possible to enjoy this effortlessly and eternally stylish trend on your stroller thanks to the new mima zigi denim. 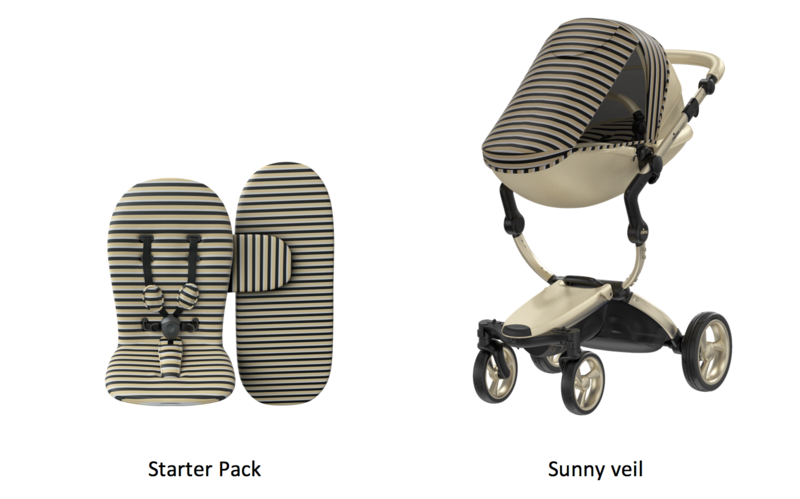 ­­The patented mima “carrycot inside”, a rain cover, a beautiful patterned sunny veil and a new colour Starter Pack exclusive to this model all come included with your mima xari Champagne. 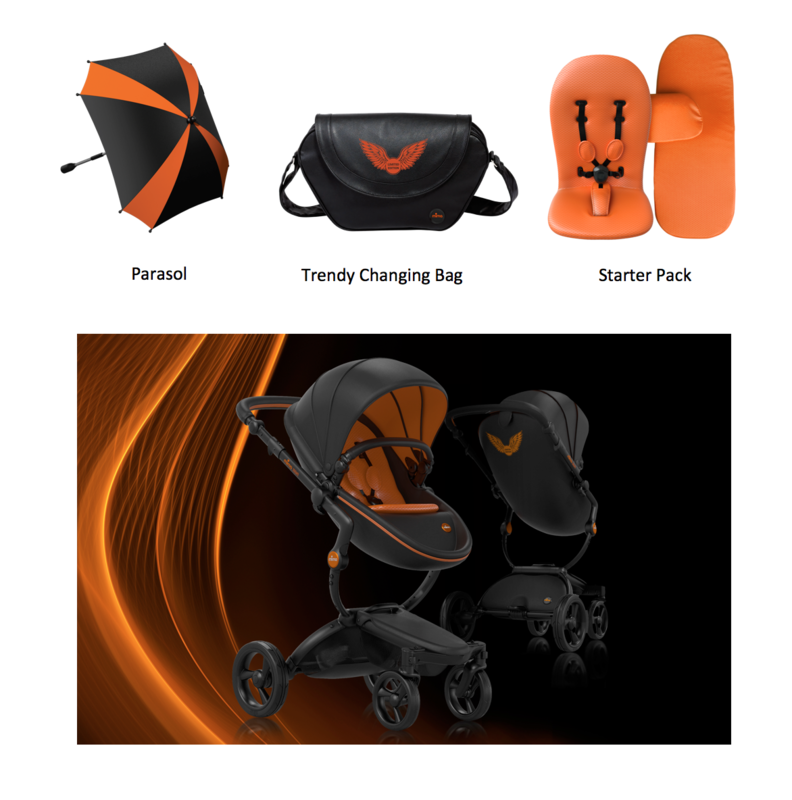 The luxurious Champagne chassis combined with the unique new seat pad brings together the colour scheme, creating a fun yet elegant product. With the holidays around the corner mima embodies the saying, “ The Gift that keeps on giving”. 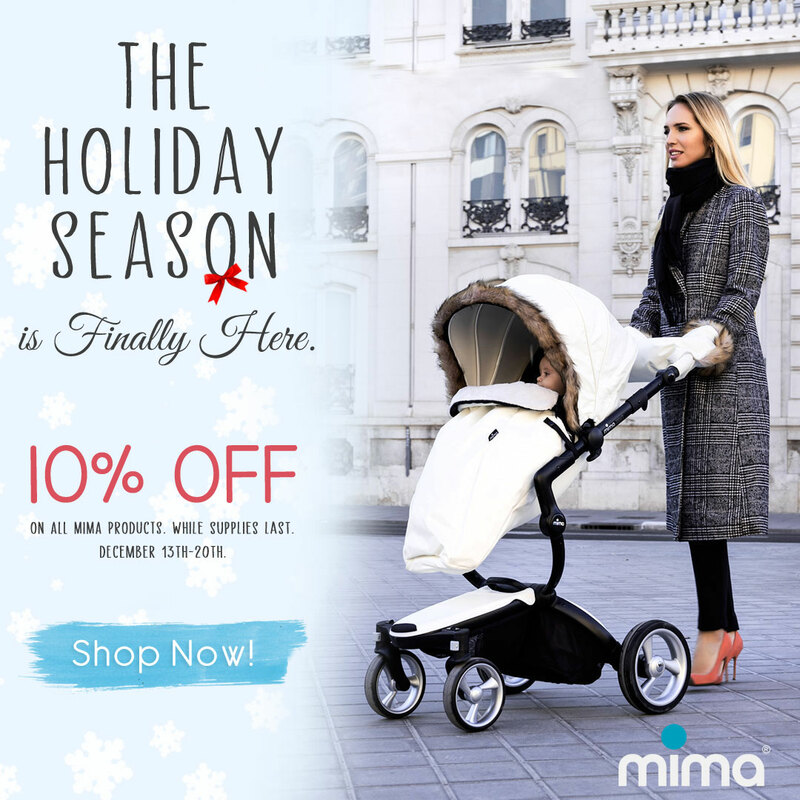 By shopping from Dec. 13th-20th all mima products are 10% off. Whether shopping for your sister, best friend, or sister-in-law take advantage of this Holiday Sale while supplies last!!! Brandon Deener primarily a self taught artist paints nostalgic imagery he remembers from his childhood. 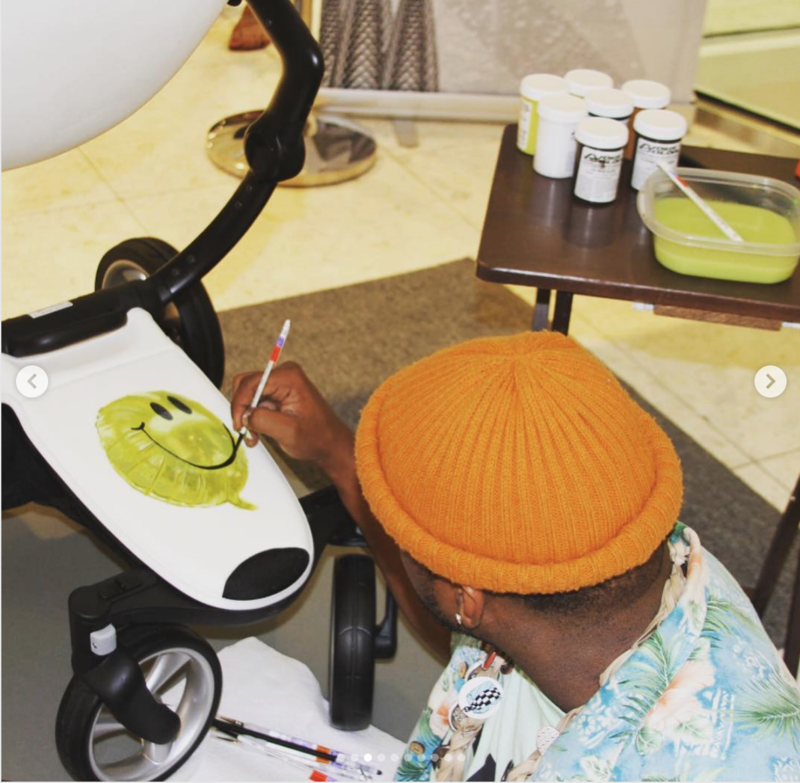 With careful planning he chose his signature smiley-face balloon as his subject for our unique Xari stroller. When asked what the smiley face balloon represents he stated, “ The balloon represents gratitude, a symbol of never forgetting to be thankful for life and the things we currently have. Also to keep smiling through the rough times when we feel deflated or defeated because there’s always brighter days ahead”. 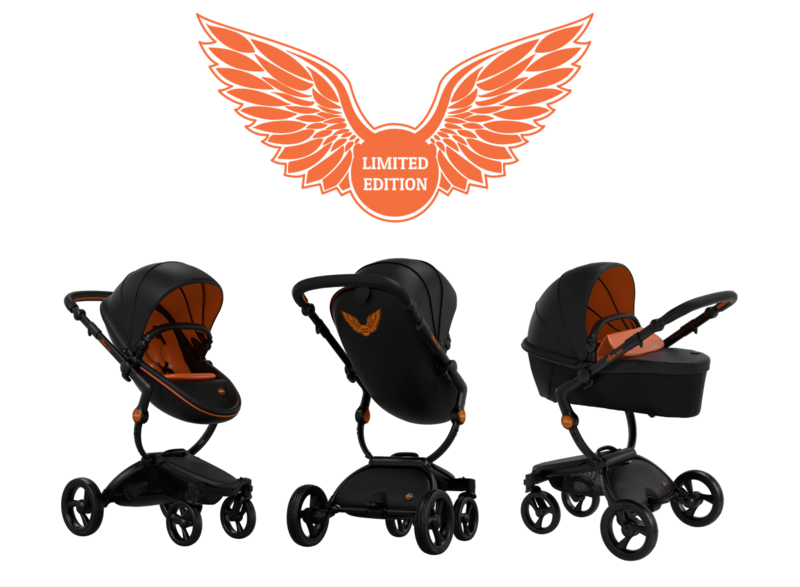 Mima Xari luxury stroller! 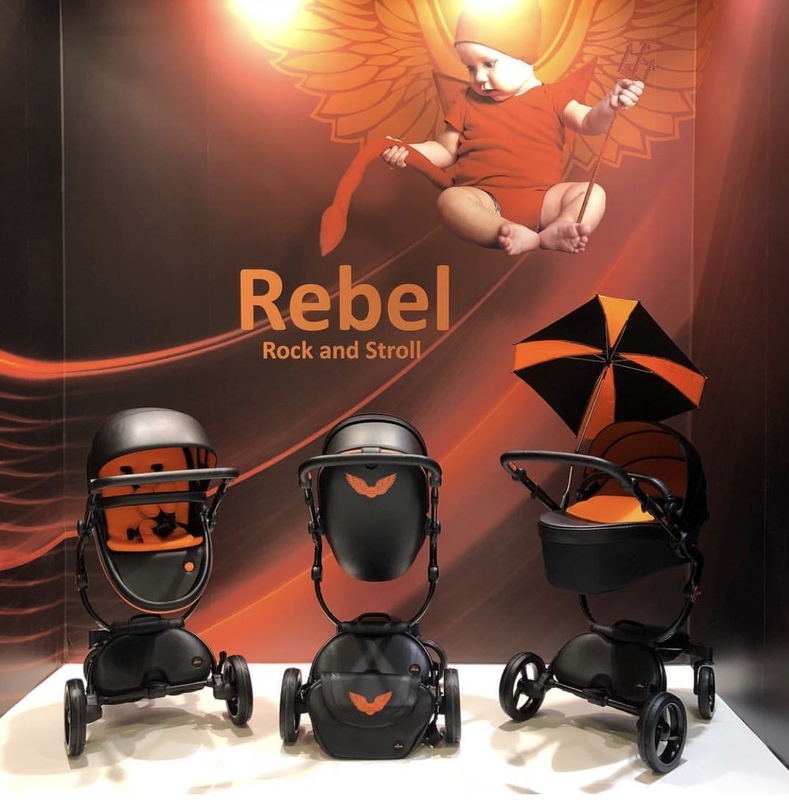 Modern, high end stroller from a Dutch company! Leather like fabric! Convert from a bassinet to a standard infant/toddler seat! Xari starter pack sold separately! Rubberized wheels, front swivel wheels, adjustable handlebars, three recline positions, reversible seat for facing inwards or outwards! Removable bumper bar, and padded seat! TTPM reviews this ultra contemporary stroller. 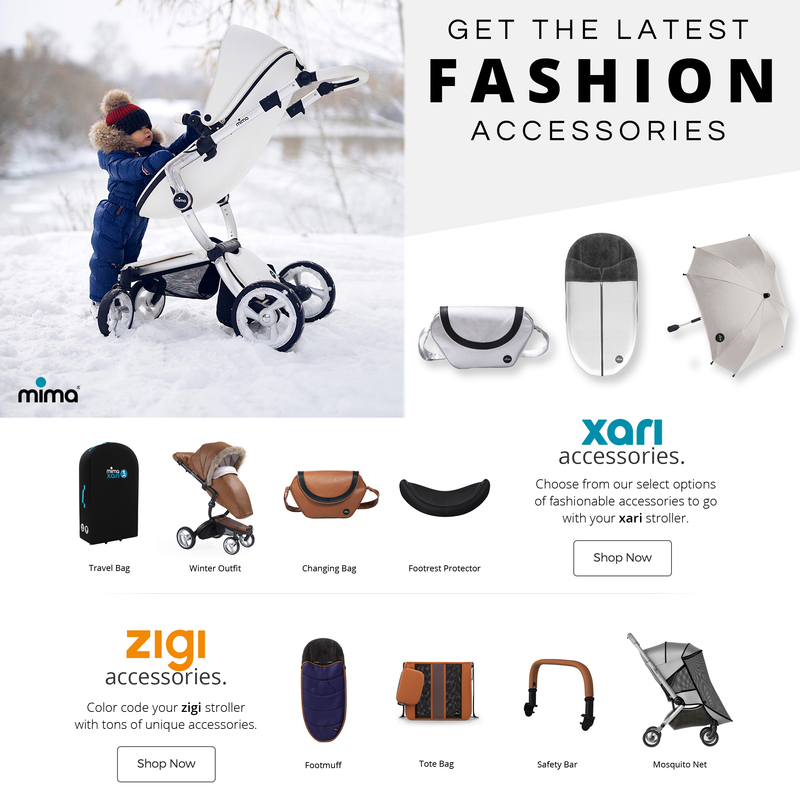 For full review and shopping info►https://ttpm.com/p/26160/mima/xari-st… Product Info: The Mima Xari Stroller is a luxury stroller with a sleek modern look, and many cool features. Made of a leatherette fabric, it is customizable with many color options including three frame colors, seven seat colors, and 12 starter pack colors. 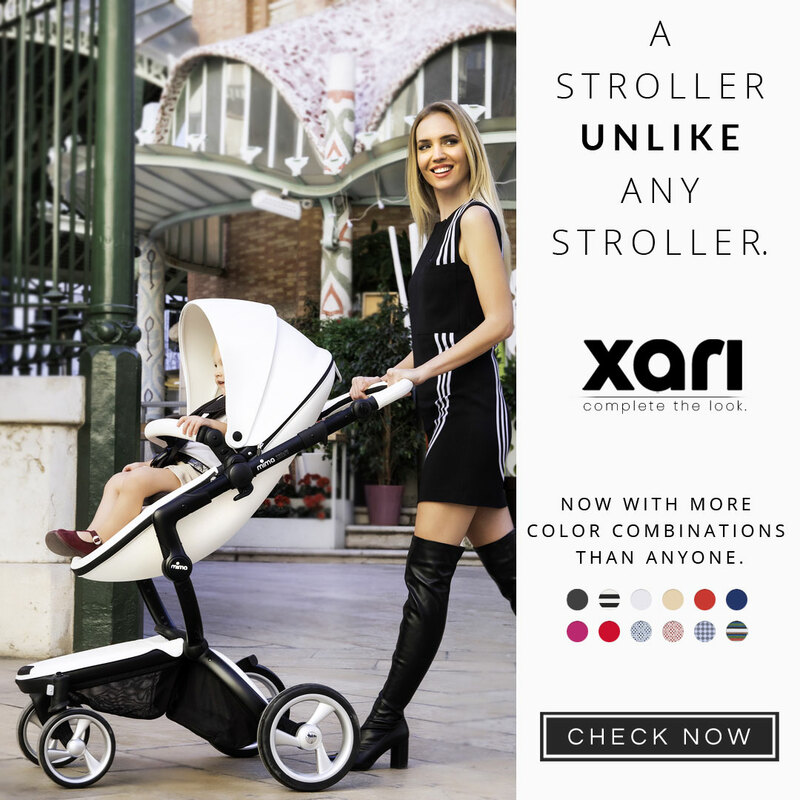 The stroller and the Xari starter pack are sold separately so you can choose your own color combos. Features include rubberized, front swivel wheels, easy maneuverability, a foot break in the back, adjustable handlebar, and seat height, three recline positions, reversible seat to face inwards or outwards, a hard shell fan style canopy with 3 panels, removable bumper bar, comfortable padded seat, and two storage baskets. Folding and unfolding the stroller is fairly simple and very smooth. Stroller weighs just over 28 lbs. with the seat in, and has a weight limit of 45 lbs. The bassinet is hidden in the seat for easy storage, and is easy to convert both ways. 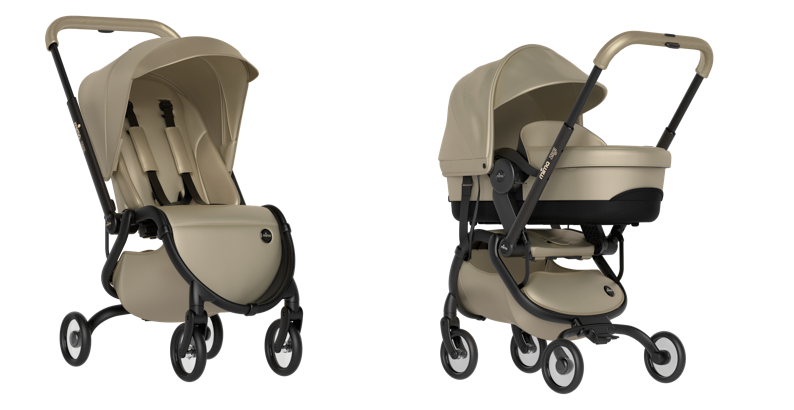 If you’re looking for an ultra contemporary, luxury stroller, this may be a great option. It has a price tag to match but is very stylish, and seems durable. The Mima Zigi light baby stroller is a stylish, lightweight, compact and modern baby stroller. The first mima® A compact buggy with sleek engineering which offers a concrete solution for all refined globetrotters. Folding is a breeze – a simple pull of a lever and flick of the wrist lets you leave the folded buggy to stand upright. The super compact fold of Zigi (56 x 45 x 25 cm)/(22 x 18 x 10 inch) is accepted as cabin luggage with most airlines.